I've got some fun tutorials coming really soon for you, but it's been a while so I'm popping on really quick to share some updates. Scrappy bundles are in the shop. 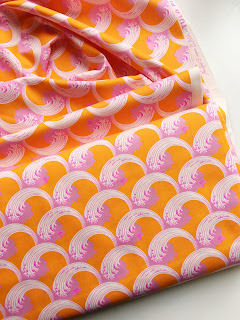 Tula Pink Zuma fabric 2 yd bundles in the shop at 20% off right now - only four prints left. 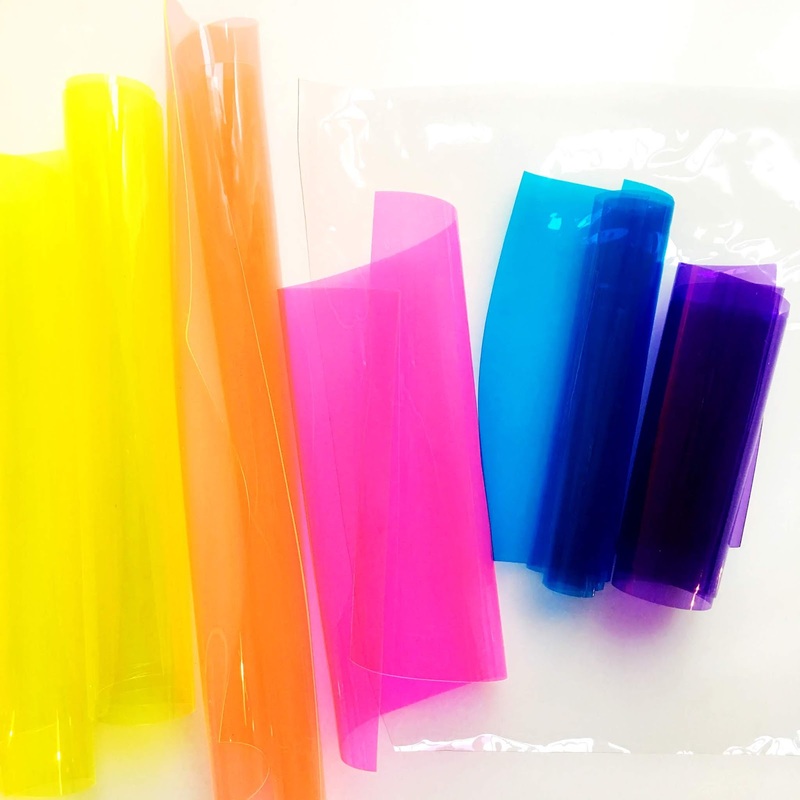 There are kits too, if you want a kit that isn't listed send me a convo. I'm happy to make it for you. 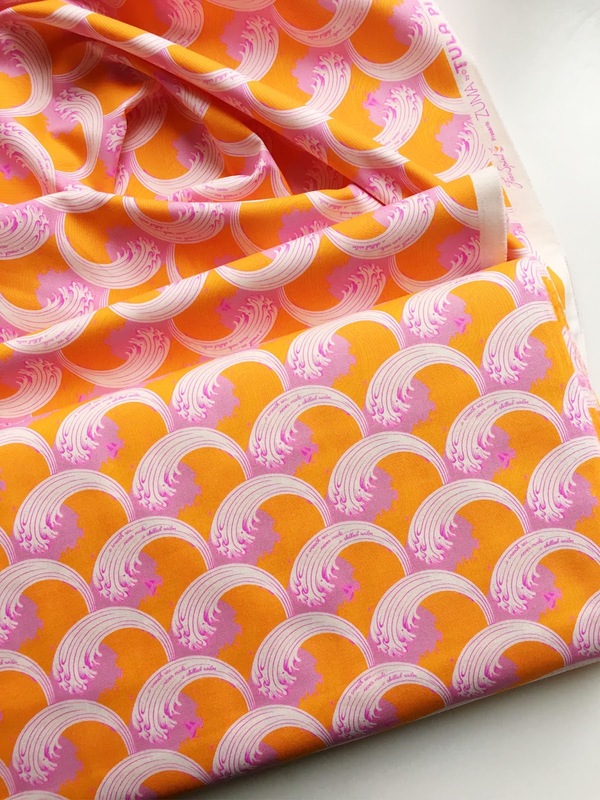 Tula's De la Luna is almost gone (also 20% off) here. 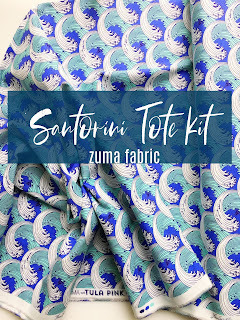 I'll be teaching the Santorini Tote again at Blue Bar Quilts October 20th. 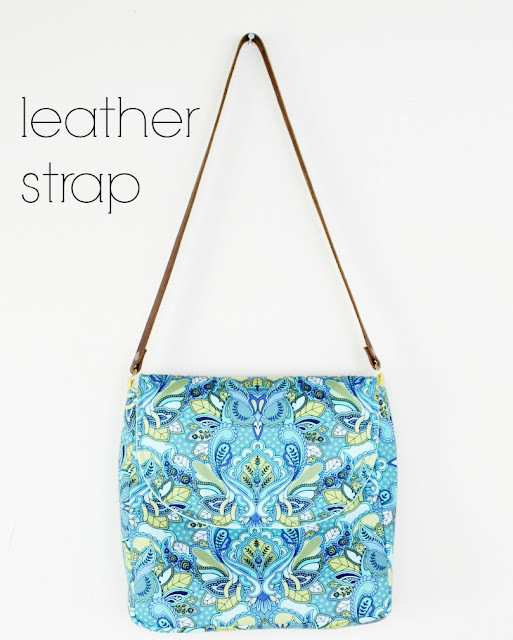 Sign up now - especially if you want to ROCK a bag with a zipper and boxed corners the EASY WAY. 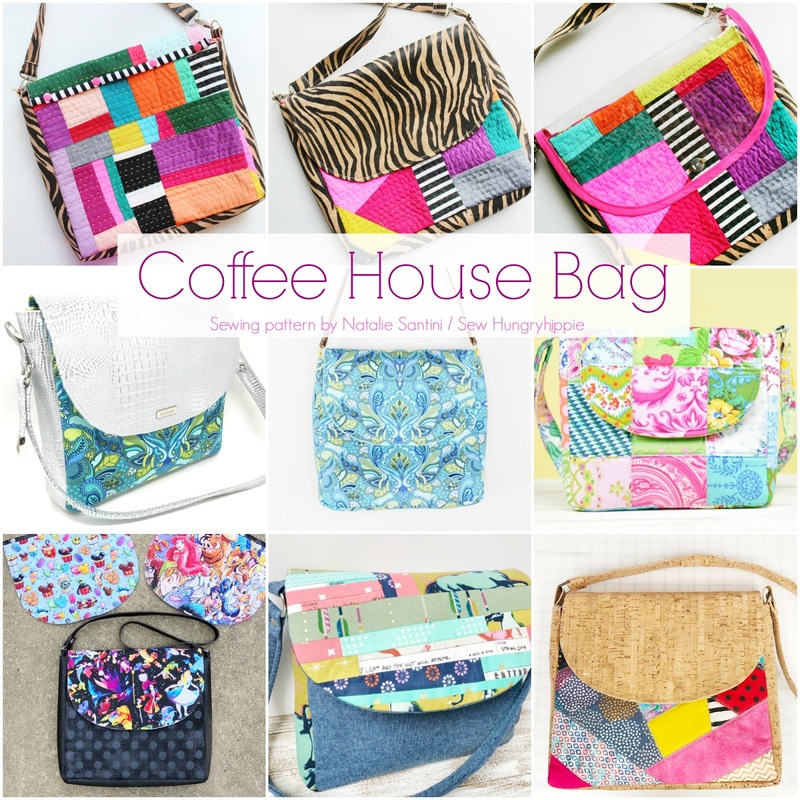 I'm teaching the Coffee House Bag Nov 4th at Blue Bar. 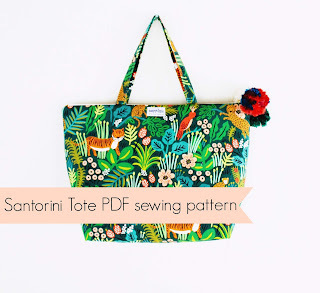 It's my newest pattern release and has been hugely popular. INTERCHANGEABLE flaps Yo! Yessssssssssss! This is the Cumberland backpack pattern by Sew Sweetness and I used my Stardust vinyl in silver diamond. School is back in sesh, we're almost a month in. It's always crazy to me how fast time does fly when the kids are at school and activities are back in action. 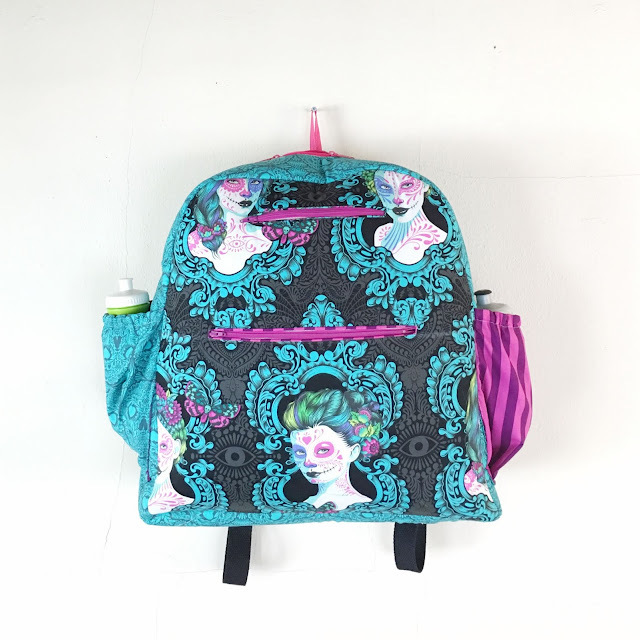 I ended up making both my daughters each a backpack this year in clear vinyl and Stardust vinyl. They are both still in use, so I'll call it a win! Then because I'm crazy, I decided to write up my own pattern for a hugely huge-normous backpack with ALL the things. And minimal pattern pieces. This is the demo clear back pack, pattern in the works. I just finished my fabric version pattern and sent it to prelim Testers. I CANNOT WAIT to show you this pattern! 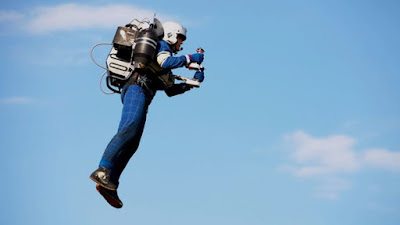 It's near jet pack size (that was in my mind at the time of designing) with features I've always wanted in a bag, including expandable pockets for water bottles and security pockets in multiple sizes. For safety reasons I couldn't include the propelling system but you can always hack it. Double zippers are LIFE ITSELF. I get mine from Zip It on Etsy. I carry all different gauges of vinyl because each one is perfect for a different type of project. I talk about it a bit here. If you're curious about vinyl I have tons of posts and videos talking about it. I'm kinda IN to it. Try this post or this one. You can watch this video or this one for a quick project that's SUPER simple. 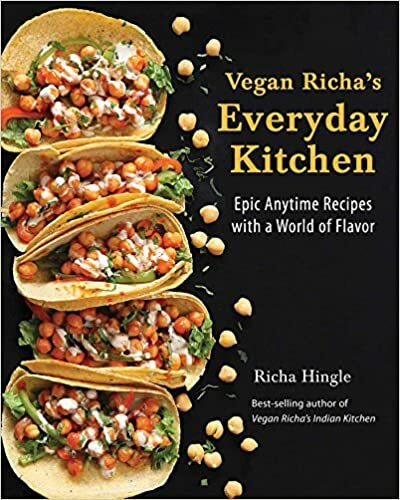 through April 2019. Tickets go on sale Oct 20th. Put a reminder in your phone because last year it sold out in 36 hrs! HOLY SH*ZZLE! I finished a couple more quilts and one quilt top in the past few weeks--which makes me SUPER happy since I thought I might never make a quilt again. LOL! The answer? 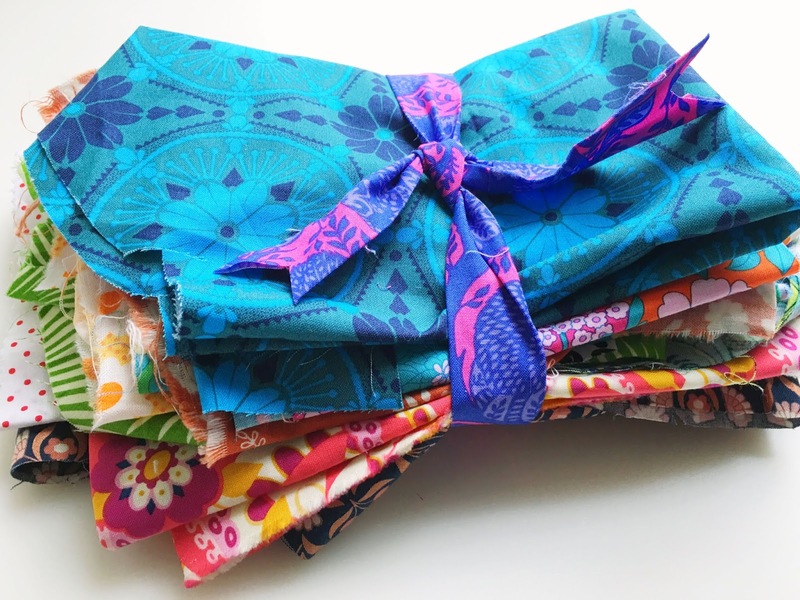 Give them to Kathy Talley to quilt on her longarm machine! I can piece away to my heart's content and then BOOM Kathy does her magic. LOVE IT. I love this one- so simple. Literally just cut 10" squares and sewed a 3" sashing between them. 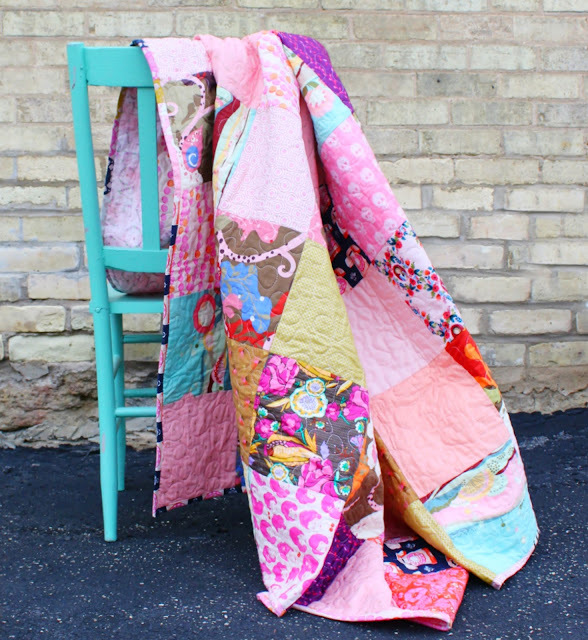 I had quite a few emails on this scrapAlicious quilt so I put together a kit and listed it in my Etsy shop. It sold. It was 400 squares of fabric and 8 yards of pom trim. I'll be listing another kit with 8" squares really soon. 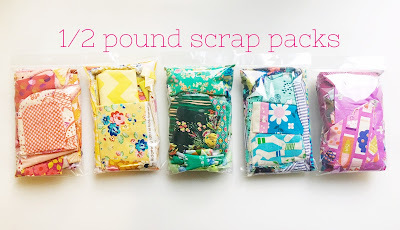 It's a great way to stash bust and scrap bust. I love these kind of quilts SO MUCH. Probably because they hide many faults and a NON-perfectionist can do them and look like a crafty quilty genius person. 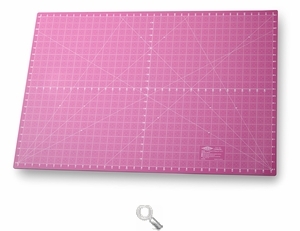 Havel's Sewing sent me this amazing PINK cutting mat and I nearly had a heart attack! Isn't she so prettyyyyyyy?! Get yours here and use this discount code for $7 off a $25 purchase: "Sewhungry7". 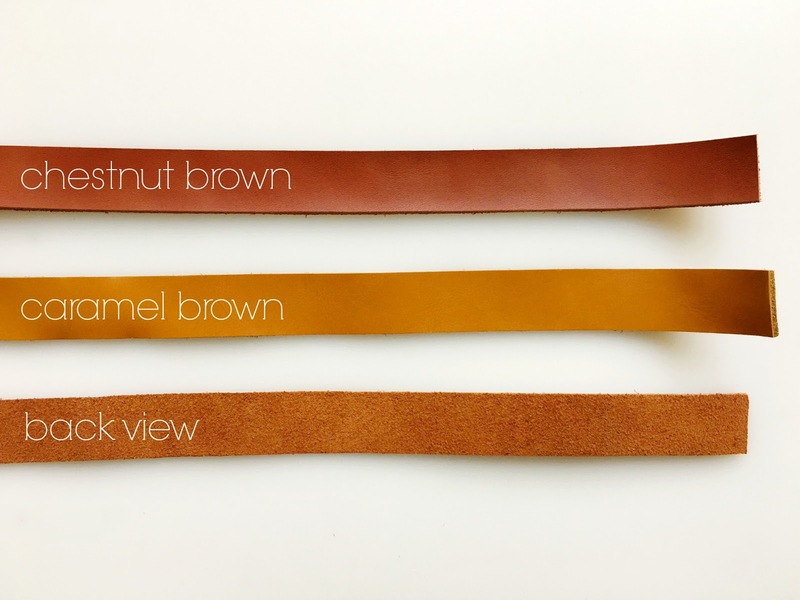 I had leather straps made to my exact specs and have two colors available in the shop here. 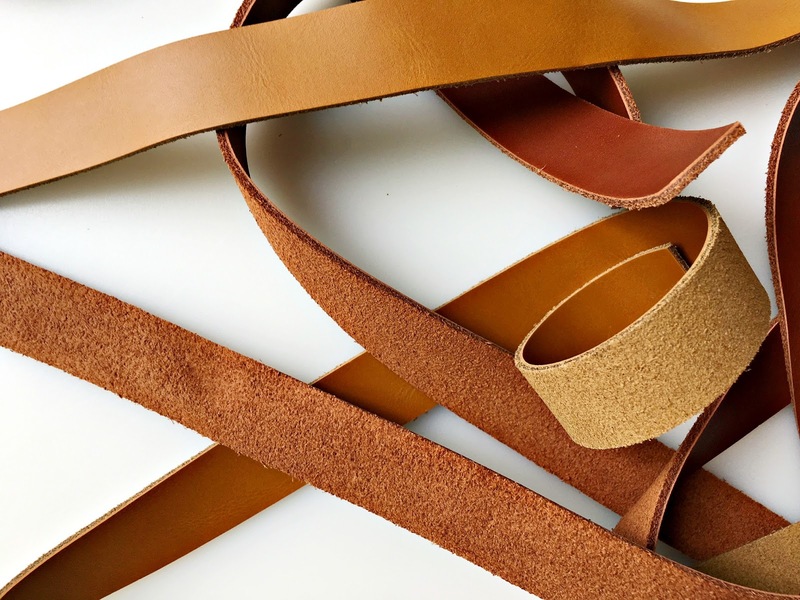 These straps are easily sewn through, no special needles or equipment needed. I LOVE THEM. I found this painting yesterday and IMMEDIATELY bought it. Isn't she just the absolute cutest?!! There was another one I wanted, the lady has a kerchief in her hair, but I'll wait for my next coupon. These are at Hobby Lobby if you can believe it! 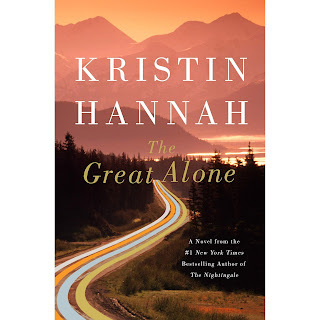 I just finished reading The Great Alone -- what another incredible book by Kristin Hannah. I love it when a books draws me in so deeply I'm thinking about when I can get away to read some more. Next on my list is the latest Oprah recommendation The Sun Does Shine by Anthony Ray Hinton. I brought my plants in tonight because it's supposed to hit 36 degrees tonight. SO chilly so fast. Wow Fall! I enjoy hearing from you! Please join my Maker's Group here to keep in touch. I often post flash sales on vinyl or fabric in this group. It's only supportive, no mean people allowed. 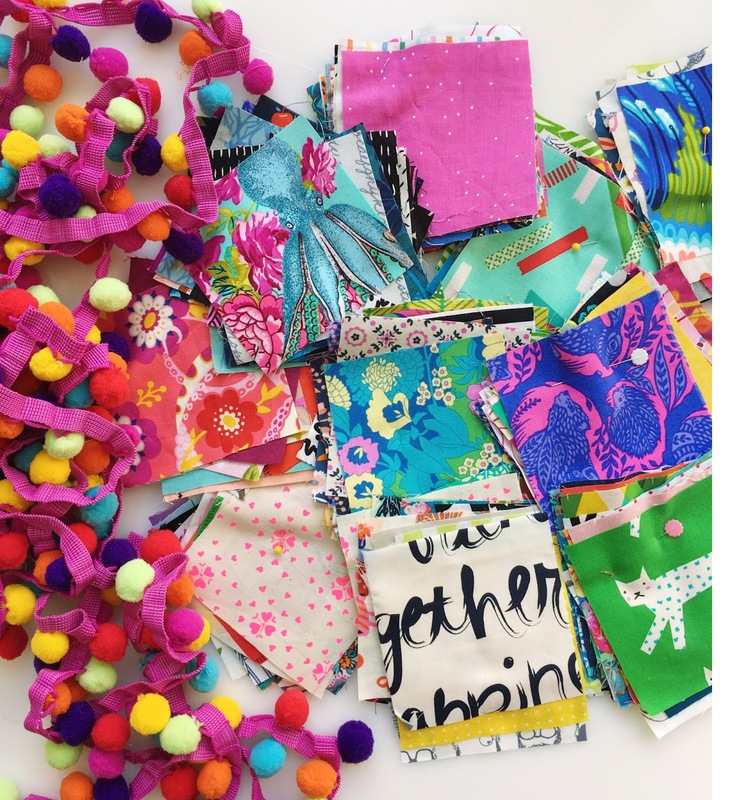 I send a newsletter out once or twice a month with fun finds, coupon codes, free tutorials, and more. Sign up here and bring a friend. I also announce Tester call outs in my newsletter, in case you're interested. Someone asked me in class how many people I have test my patterns "because they are SO clear".... (Thank you by the way!) My answer -- minimum 20 people, sometimes more. Not everyone is on social media, so you might not always see their work. It's VERY important to me you are successful in your making journey. THANK YOU for being here! I appreciate YOU.